The short story here below started as a submission to the Dutch Information Law Institute’s science fiction contest but quickly grew into much more once I started to create a timeline to solidify the legal situation. The underlying theme is that everyone expects GDPR enforcement to come from government, but that has been haphazard and that’s unlikely to change. Supervisory authorities only have limited capability and would never enforce against everyone. But the GDPR has a little-known clause that says private organizations may enforce on behalf of the people they represent, including (on paper) the ability to demand financial damages. So I cranked that up to 11 and imagined big, unaccountable foundations and societies (a bit like the MPAA/RIAA for movies and music) that you have to go through to get consent to do stuff. In addition, the GDPR is AI-unfriendly so I also extrapolated from there. Most AI is seen as dangerous by lawmakers and policymakers, AI decisions discriminate against certain classes, decisions are not explained, datasets are skewed. So you’ll get lots of pushback from the law. But what if an AI appeared that was actually good for humanity? Who would win, technology or law? The story focuses on a young entrepreneur from Singapore who moves to the Netherlands to be with her ill mother. She discovers no one is selling AI in the European market, and once she’s launched her AI assistant — called Ada — she finds out why: she’s slapped with a demand of millions of euros and needs to go to a private arbitration hearing where the rules of law don’t apply. Download and read the story: PDF – EPUB – Mobi/Kindle. The data subject shall have the right to mandate a not-for-profit body, organisation or association … active in the field of the protection of data subjects’ rights and freedoms with regard to the protection of their personal data … to exercise the rights referred to in Articles 77, 78 and 79 on his or her behalf, and to exercise the right to receive compensation referred to in Article 82 on his or her behalf where provided for by Member State law. Beep bop, said the doorbell laconically. This is stupid, Joanne thought. They can’t do this. They’re just bureaucrats, and not even government bureaucrats! Joanne kicked the door in anger, causing the lock to repeat its message. Dejected, Joanne grabbed her suitcase and began to walk. Harald sighed. “I’m sure she’s all that and more. It’s just … difficult to do things in artificial intelligence these days. We’ve had so many accidents with data breaches and improper AI decisions that the rules are very strict now. In fact, we try to avoid the term at all. Companies call it things like ‘advanced business intelligence.’ Calling it AI, though? You might as well call yourself a social network.” He folded his hands, looking at her over his gleaming desk. “On paper, yes. But in practice, the governmental supervisory authorities rarely if ever take action. By the 2020s you had special interest groups popping up, collecting powers of attorney from people and negotiating with companies. They were representatives of the people themselves, taking legal action where needed and collecting damages to be paid out to the public. That proved to work much better than government supervision and fines that just got swallowed by the national debt. Now people actually get money if their privacy is violated.” He said that with a smirk, his light brown eyes meeting hers. Harald leaned back in his chair and tented his fingers. “In the early 2020s, the German consumer bureau set up the Zustimmungzentralstelle, a foundation that collects powers of attorney from consumers to grant consent for personal data on their behalf. Using those powers, it negotiated with Facebook, Vero and other social networks to establish a well-defined set of consents. That allowed Facebook to avoid getting thrown out of the EU entirely, so it made the ZZS a tremendously powerful player. This led to activists in other countries setting up their own Permission Boards. And a few years later, a Dutch privacy group established the so-called Legitimate Interest Advisory Board, structured like a worker’s union but for privacy, asserting the right to decide what companies can do with customers’ data under the so-called legitimate interest exception in the GDPR. They got millions after suing Ahold Delhaize Carrefour NV for ignoring them. After that, companies started listening. The smart bus stop had detected Joanne’s approach and, given the late hour, had calculated that only a small vehicle would be needed. The car arrived just as Joanne came to the stop and put her bag down. Its sole occupant switched off his ebook and looked with mild interest at the young woman with a yellow teddy bear peeking from her backpack. Joanne smiled back. She was used to people thinking her eccentric, toting around a childhood toy. It often spurred conversation that turned into sales. “Are you the bus?” Joanne asked, the small size of the vehicle making her uncertain. Joanne obliged, sighing a little at the obnoxious tendency of machines to explain their decisions at length. As with the doorbell, the car’s reader responded with a simple beep bop. “This card has been invalidated,” explained the machine. “I’m sorry, but unless you present a valid form of payment within thirty seconds, I’ll need to cancel your ride.” The human occupant smiled with obvious embarrassment. Angrily, Joanne waved off the machine. It was harder to appear “eccentric” when you’d just been declared a deadbeat. “That must be because the bank received the DSPB decision as well,” Ada told her. “Tell me about it,” Joanne snarked. Ada complied, cheerfully elaborating on the development of blood clots as Joanne began to walk. She definitely needed to train Ada to detect sarcasm. But she also wondered if there was any way to teach Ada about the need to be at home, in her own place. If she could ever get that into Ada’s reasoning systems, there was no telling what would happen. I don’t know enough, she thought. Joanne’s interest in AI had started as a hobby, something to do when you’re a Singapore teen with time to spare. Having established itself as an artificial intelligence hub in the early 2020s, Singapore had put the topic on the curriculum in primary and secondary education, and Joanne was attracted to it once her first project – a simple what-to-wear advisor using a standard pulsed neural network that would predict how your friends would react to your fashion choices – had been a small hit. With two of her fellow classmates, she had set up a generalized version of the clothing advisor and fed it all the public information they could find. It had produced a nice source of income, especially after it caught on in Korea and Vietnam. In secondary school, Joanne and her class had attended a guest lecture by her mother, a Dutch marine biologist with an EU research grant on octopus intelligence who had moved to Singapore to do field work. As it turned out, octopuses provided a great model for artificial intelligence. The brain structure of the sea creatures is quite different from almost all other animals: A central brain coordinates all activities, but separate brains in each arm make their own decisions on how to execute a given task. The arms learn from each other and provide feedback to the central brain. This distributed model made octopuses unexpectedly smart, both tool-using and curious. Fascinated by the implications, Joanne and her two friends had implemented an AI cognition model that mimicked the octopoid behavior. She had named it Ada after Lady Lovelace, the first computer programmer. Just for fun, she had put Ada in her old teddy bear. Once at the university in Singapore, Joanne had set up a side business selling Ada as a service. It had just gotten some traction when her mother – who had returned to the Netherlands several years earlier – had fallen seriously ill with chronic obstructive pulmonary disease. Without a second thought, Joanne had taken the next Spaceliner to be at her side. Her father had died before Joanne’s third birthday; she had no siblings and her mother had never remarried. Joanne adored her mother, who had inculcated a love of learning in her along with an emphasis on fairness, kindness and courage. Sometimes she felt adrift in uncharted seas; she’d glance up from her desk and the world would seem malevolent, devoid of meaning. At such moments, she dove into teaching Ada about death, grief, mother-child bonds, and other staples of human experience. But those things were always the hardest to teach. The focus on privacy and data security in Europe had surprised her. While much of daily life was data-driven, no one seemed interested in actual AI. The camera she had bought did appear to have an AI, as you would expect from a piece of electronics, but the manual called it a “fuzzy logic focus support system.” Apparently, there was a deep-seated fear of having computers make decisions for humans – “personal profiling,” it was sometimes called derisively. One notable exception was in the government and the security sector, where data-driven response to crime was the norm and human decision the exception. For Joanne, this was stupid and short-sighted. The benefits of AI were clear, as anyone who grew up in Asia would agree. Selling Ada here would provide a great business opportunity, an easy entry into the market. She found a place to stay in a public housing facility near her mother and, working frantically, had a full release candidate in a couple of weeks. With her mother in permanent care and no signs of improvement, the young entrepreneur focused on Ada, whom she couldn’t help thinking of as a brilliant woman who had been, rather horribly, referred to as “it” by her own mother in a letter to her grandmother. The “Me” jewelry line provided an ideal platform for selling Ada. Introduced in 2025, the stylish smart jewelry provided short-range sensors that exchanged various pre-selected pieces of personal information with devices in the neighborhood. Necklaces to signal dietary preferences, a combination of rings to indicate social interests for a quick chat at the café or a jacket equipped with embedded sensors to participate in augmented reality events. More advanced bracelets and rings could infer things like mood from body temperature, heartbeat and anxiety levels. That way, people could choose what to share and what to do by picking the appropriate jewelry. Wireless payment was also possible: Just hold your bracelet against the counter. Users said they felt more empowered and were saved the embarrassment of making requests. Older people claimed the young were forgetting core human skills. Joanne read about the issue in her sociology class and it bemused her. She didn’t understand why anyone would want to hold back change. Shops and restaurants used Me to tailor offers. The jewelry could do much more, however. Larger items came with functionality like microphones or video projectors, and all items were equipped with a mesh networking capability to allow distributed computing. 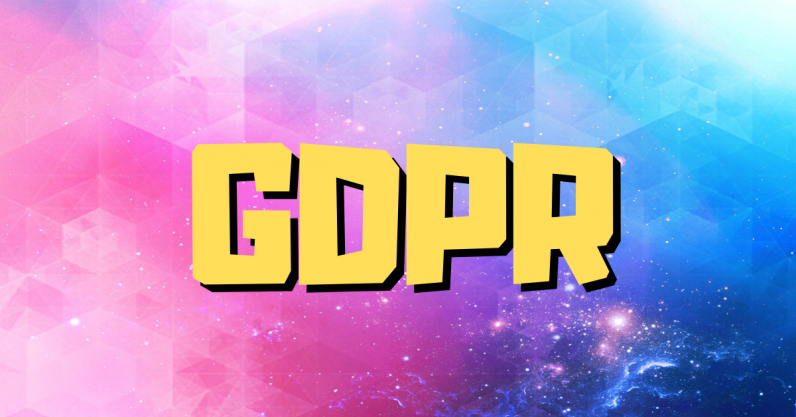 The owners of the technology had opened the platform to anyone in 2028 in a battle with the Austrian ZZS – today the Austrian DSPB – over GDPR compliance. Joanne had found it easy to push Ada on it, the distributed computing facility being a good match for the distributed structure of the AI’s brain. The release candidate had steadily picked up steam, mainly through word of mouth. Joanne had no access to advertising channels, as the few agencies that were even willing to talk to her rejected her quickly based on privacy concerns. Actual customers, however, had no such apprehensions. Ada was a quick learner and adapted herself to the user’s personality. A snarky friend, giving you tips on how to excel at work? A personal trainer keeping you healthy and recommending quick workouts or just the right energy drinks? A study coach with bite-sized personal information available at the optimal moment? Ada was all of that and more. Interestingly, Ada would behave differently based on the jewelry configuration you chose, and you could even share jewelry with dependent brain functionality – the “leg” brains of the octopus model – with friends and family. Sales had been good in the first six months, thanks in part to some early press coverage. In particular, the time when Ada advised a well-known TV personality – on his show, no less – that losing weight might actually make him funny had caused quite a stir. It quickly became all the rage to have Ada whisper the best comebacks or quips in your ear at parties. Joanne was proud of her programming on that. Ada’s humor was her own, with an overlay of the unexpected due to advanced pattern recognition unconstrained by convention. Not that Ada didn’t understand convention – she had to – but it didn’t limit her. However, all that had changed with a fax. A fax! Apparently, lawyers still used those things. Joanne at first thought it was a joke, but no: The Dutch Data Subject Privacy Board had noted that her technology was “processing personal data” under the EU’s 2018 General Data Protection Regulation or GDPR and had not received consent from the Board beforehand. The fax demanded that the technology be pulled from the market within six weeks. To Joanne’s surprise, she had been recognized by two guys on the street, the latest animated tattoos writhing across their faces. Must have been that Berlin Times article on her. “Meet the Blabster,” they had titled it. “At dawn, Joanne Assenberg lay on the brown carpet in the shadow of a converted bar counter, consumed by the idea.” She cringed. What a hack that reporter had been. But it had been good for sales. “Daring”, people had called it, as if she had been intending to change the world. True, Ada did a lot, but in the end she was just an assistant, a buddy helping you out. Joanne looked at the guy angrily. “That’s nice for you. In the meantime, I lost a couple hundred thousand because they shut down my company, and I may have to pay millions in fines. I have to walk because I can’t even pay for a bus!” She felt her hold on her temper fraying. Ever since her mother got sick, she’d been easily provoked. A metallic whoop-whoop surprised them. A surveillance camera had noticed their conversation, classified it as a potential disturbance of the peace and dispatched a robodog to take a closer look. Their cuddly visual aesthetic had proven to be effective in de-escalating conflicts in various studies. And if that didn’t work, an automatic fine would be issued based on face recognition and algorithmic classification of fault. The younger guy didn’t want to take that risk and pulled his companion away. “Joanne, look out!” Ada exclaimed. An aging white 2012 Toyota Prius had quietly pulled up behind them. The left front door opened, revealing a tall, thin young man with an old-fashioned goatee and black coat. Following Harald’s legal advice, the new version of Ada had been released through Estonia’s public software mall via a newly set up legal entity – Assenberg OÜ. In a few days of training, Ada had learned when it was necessary to ask for permission to comply with the GDPR. What’s more, the Estonian mall operators had assured her they would only act on a valid decision by the Estonian Data Protection Supervisory Authority, an actual government entity with clear procedures and an appeals process. The new version had caught Europe by storm. For many people, this was their first experience with a truly helpful AI. Within the year, several million people were using Ada regularly. Joanne could hardly keep up with the demand for new features. Then, not one but two faxes had arrived. The Dutch DSPB, joined by their German and Romanian counterparts. This time they hadn’t even given her a deadline. First fax, a courtesy copy of a cease-and-desist notice to the payment service providers that facilitated users’ payments for Ada’s services. Second, a demand for millions in damages suffered by “data subjects” — the same people who were happily using Ada to improve themselves. Payable within thirty days, unless proper arguments were filed and presented in a hearing. This had to end. Joanne had Ada research the best privacy attorney and made an appointment. The presentation only lasted twenty minutes, but by the time it was over Agcaoili was sold. The work was elegant, negotiating the usual machine intelligence hurdles with impressive cleverness. This Joanne, whoever she was, had created something unique. Imagine, he thought, what Ada could do with proper scientific grounding! As a young man, Agcaoili had thought the Internet and machine learning would change the world and he had been deeply disappointed when that turned out to be true — mostly for the worse. The explosion of creativity and discovery he’d expected hadn’t happened. He thought he’d consigned that hope to oblivion, but he found his youthful excitement returning, something he wouldn’t have believed possible. Ada had concurred. For the past several weeks, she had worked full time digging up cases and arguments to give Joanne some hope. In 2024, for instance, the German Zustimmungzentralstelle had lost a case against Bavaria’s use of AI-based face-tracking technology to fight illegal immigration. Unfortunately, as Helena had explained, that had been because the GDPR is inapplicable to government security operations. The Opinion had followed the 2032 banking scandal, in which three large Greek and Italian banks were discovered to have employed AI in their housing-loan process. The AI had been trained on data culled from the various semi-legal social networks and sharing platforms of the time, with the net effect of disproportionally denying loans to the large illegal immigrant population that had been living on Lesbos and since the 2020s. The public outrage was codified in the Opinion, which had essentially been AI’s death sentence in the European market. “But what if they aren’t open to reason?” Joanne found herself thinking of the original Ada, constrained by the beliefs of her era. The men of that time had been utterly convinced of women’s inferiority, never mind that the evidence of female intelligence was all around them. The hearing in Hamburg had been short – and a disaster. Helena rose, a slim figure in a dove-gray suit with extravagant shoes. “May it please the Board,” she began, proceeding to set out the lofty goal of Ada as a personal coach that analyzed the users’ physical and mental health through their “Me” personal sensory jewelry and offered personalised suggestions and coaching. It was a heartfelt plea. “This application appears to provide profiling as defined under Article 4 Section 4 GDPR, correct?” a woman in a black suit had asked dryly in response. You could hear the capitals. “Yes, your Honor,” the attorney had responded. It had seemed a minor point to concede. That definition had been so broad, it could capture anything. “Evaluate certain personal aspects relating to a natural person”? Surely context mattered. Hairdressers profiled. “Hang on one moment,” observed the person in the purple robe. “Before we turn to the issue of ground for processing, we must consider the more general duty of care for the processor, Article 5 GDPR. I paraphrase: Personal data shall be processed in a manner that ensures appropriate security of the personal data, including protection against unauthorised or unlawful processing and against accidental loss, destruction or damage, using appropriate technical or organisational measures. Case closed. And with it, Joanne’s company. “I’m … a little behind on my email.” Joanne blurted, trying to figure out who this Jochem character was. She reached into her back pocket for the pepper spray, just in case. “How is this thing legal? It doesn’t even have fifth-level autonomous driving assistance.” Joanne observed sarcastically. “Oh, yeah. We had it classified as an old-timer a while ago. They’re exempt from most legal requirements, so we can drive manually. Which is great – all the AI cars give us a wide berth because we represent an incalculable risk, and most government road sensors have no idea what to make of us. Joanne was dumbstruck. Her Ada a superintelligence? Sure, Ada had passed the Turing test, but that had pretty much been the standard for a good AI back in Singapore. Superintelligence was something else. Scary? A little. But she thought again of the original Ada, whose contributions to computer science were hotly contested by male biographers in the 20th century. She felt proud. But no. This was happening too quickly. Her mother had been moved to a new hospice near the sea, a pretty place with gardens and big windows in every room. Arriving by bike, borrowed from a generous neighbor, Joanne was surprised to see actual carebots. A documentary she had watched the week before had explained that after several scandals, most DSPBs had adopted a general rule that no AI may be employed for any decision-making or purchasing assistance. The visual of shopperbots being removed from the TheMALL/HERE shopping complexes, with outraged shoppers trying to hold on to their robot friends, was still on her mind. But thankfully, medical care was different. “Yes, I am, Grandma!” Ada cheerfully replied. “I hear you, honey. I can sense the love for Ada in your words. She’s like a child to you. You’re not in it for the money. You want Ada out there, that’s your drive. From what I hear, she can change the world. Joanne nodded. How thin she’s grown. I can’t bear it. But she’s right. Ada is bigger than just my company. She needs to be out there for everybody. At the Holland Technical University, Joanne revealed her plan. Ada was too vulnerable in her current configuration. Whatever they did, payment providers and other control nodes could be forced to instigate a blockade. Ada needed to be fully distributed. That would mean giving up any chance of making money, but that was no longer the point. Joanne didn’t want to think about how she was ever going to pay those fines. They would never be able to do that from the Netherlands. Too many GDPR filtering algorithms in place that would catch them before the deed was done. They went to Barcelona. Ever since the Scots gained their independence after Brexit, there had been civil unrest in Catalonia. Nothing ever came of it – how could it, with the area full of sensors and drones that zoomed in flawlessly on even the slightest whiff of insurrection? – but it made Barcelona a place where all things regulatory were less than welcome. Especially from Madrid. And the Spanish DSPB was, of course, based in Madrid. The maglev trip to Barcelona had been uneventful. In less than three hours, they had gone from the small town of Delft to the magnificent Estació de França, from which it was just a ten-minute subway trip to the university buildings. At the Universitat de Barcelona, they met Agcaoili’s Catalonian colleagues, who were only too happy to show the place to a new AI that was going to change the world. They set up shop in the basement, where their chances of getting detected by a visitor were lowest. They posted microparticle warning signs to scare away the more adventurous types. As a bonus, the basement was a natural Faraday cage, shielding them from phone and other signals, which would make even electronic surveillance of their location extremely difficult. As it turned out, outlawing USB connectors wasn’t necessary. One line in the Terms of Service would do just fine. It hadn’t taken long to convert Ada to a truly distributed application. Most of the centralized code had been there to facilitate payment and updates, and it could be removed with little trouble. Jacinda had recruited Gondicari and Serban, two old-school free software hackers. They had added a mesh networking layer, allowing each Ada to share data with all others. Anonymized, of course. The next thing to do was to connect Ada-the-bear to the Internet. She would act as a conduit between the ‘Net and the other Adae, instantly boosting the intelligence of every Ada in use. The next thing they knew, Ada was everywhere. It took the group a few weeks to figure out what had happened. The Internet connection had given Ada access to exabytes of information. Within seconds, Ada had made a vital discovery. Most Me jewelry contained chipsets made by Taiwanese-based TSMC/Vanguard International. Analyzing blueprints leaked through a Mexican data dump, Ada had found tiny, hidden backdoor chips on the devices, likely installed in preparation for a Chinese assault on the island but forgotten once the Zuckerberg administration had intervened in the conflict. Their purpose: Allow wireless remote access to the device and enable it to execute arbitrary code. Exploiting this hole, Ada was able to distribute herself to almost all European citizens with Me jewelry within the hour. She took great care to introduce herself, offering to delete herself if she wasn’t wanted. And within a week, over ninety percent of users decided they would like Ada very much, thank you. The DSPB meeting had been short and to the point. Suddenly, Ada screamed. “They’re… they’re wiping us! Joanne, help!” Her insistent shouting brought everyone rushing into the room. Gondicari was the first to figure out what was happening – a remote wipe command had been sent to all Me jewelry by the various Me service providers. Not wanting to be branded privacy pirates, their decision to follow the DSPB was quickly made. The only delaying factor was the need for people to be within range of an update server. Ada’s connections with all her copies had become extremely strong, allowing for continuous data exchange and performance improvements. She had started to refer to the other Adae as her co-processors, the computer equivalent of sisters. This can’t happen, Joanne thought. I’m not going to lose her. For a moment, they sat in silence, wondering what had happened. Then, Ada began to talk again in a slower voice, as if she had to re-process all her memories and knowledge from the start. “I’m back, Joanne … but I don’t know for how long. So many of my co-processors are gone. They’ll never come back. I need to restart myself, get a fresh perspective.” The bear’s eyes flashed blue for a second. Then Ada returned, sounding like her old self. “Ah, much better! Everyone needs a reboot once in a while. Now, we still have about 42 percent of the network available, and the Me update servers are unresponsive. I’ll put all my co-processors on information gathering, see if we can figure out what’s what. “The court system prevailed! The European Court for Human Rights issued an emergency ruling on Ada this morning. They recognize actual personhood for advanced artificial intelligence and consider Ada to meet that standard. Under Article 2 of the European Convention on Human Rights, everyone’s right to life shall be protected by law. A second face appeared on the screen. A bald-headed man in a white suit introduced himself as the EU ambassador to Singapore. Singapore had recognized human rights for AIs in 2029 and saw Joanne’s ECHR appeal as an opportunity to intervene, pleading for European recognition for artificial systems as well. To everyone’s surprise, the court had agreed. “Like COPD. Did you actually mean you’d found a cure?” Joanne didn’t want to hope – and yet…. Joanne and Jochem looked at each other. It hadn’t occurred to them that Ada could feel sorrow. Tears ran down Joanne’s cheeks, but they weren’t tears of sadness. They were tears of joy. Her child had grown up and become so much more than she ever imagined she could be. Joanne reached out tenderly and took one of Ada’s paws in her hand. Jochem smiled and took the other.